Remember the Roland Sands SuperSingle? It seems that Aprilia has taken an interest in the project, commissioning Roland to build a one off prototype based on the SXV 4.5 supermoto. 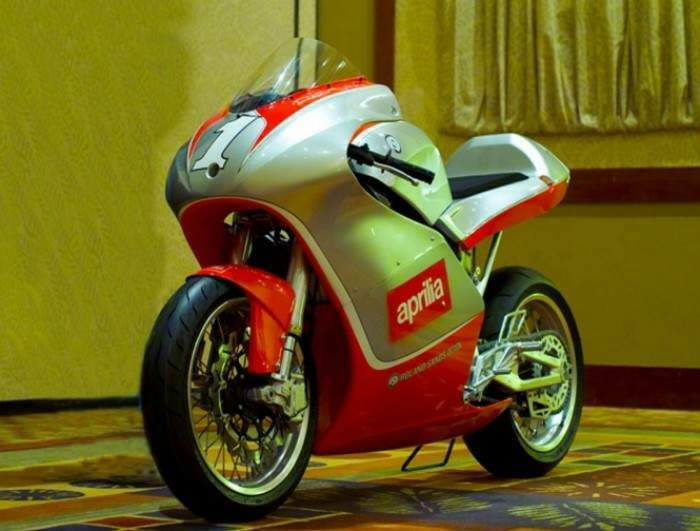 Piaggio -- Aprilia's parent company -- presented this concept at its 2008 dealer meeting earlier this month to see if they thought there'd be enough customer interest to justify a production run. The interesting thing about the RoadRacer is that it only changes very few of the major components, meaning production would require very little R&D and making it more likely that we could see a version of this bike available at dealers in the near future. It'd be easy to point out the details on this bike that clash with each other. The frame looks a little odd paired with the fairing and fuel tank. The spoked wheels don't match the modern diamond-shape swingarm. But the rough and ready nature of this bike is the point. 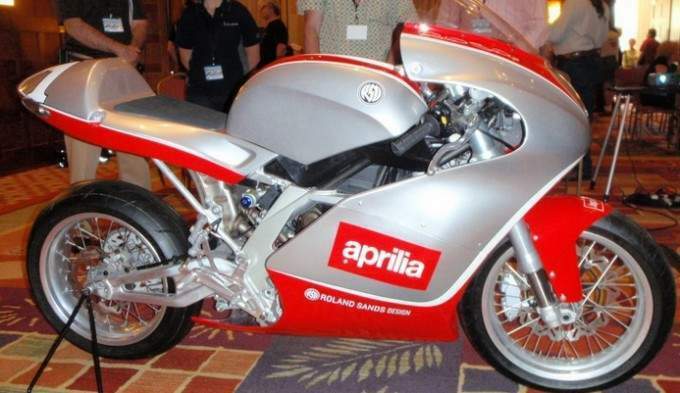 You could build this bike in your garage right now, or you could wait for Aprilia to do it for you. They don't need to invest millions of dollars in new model development; you don't need to wait 10 years to see the fruit of that project. Demand for a sportsbike using Aprilia's 450 or 550cc v-twin has been high ever since the engine was unveiled. The closest we've come so far is a handful of projects -- the Tucscon BT550 Superleggera for instance -- that have either shoehorned the engine into an RS250 chassis or had a bespoke steel trellis made. This RSD RoadRacer is our best chance yet to get a 450cc v-twin powered sportsbike that we can buy.